Bike parts are expensive and often subject to theft. Among a myriad of security bolts to thwart thieves, Hexlox is a simple, and keyed, solution. Ever had a bike seat stolen? Hexlox is a security add-on made to thwart thieves. It’s a tiny magnetic plug that jams the hole of the hex-head, rendering it unusable (and thus keeping your components safer from thieves). 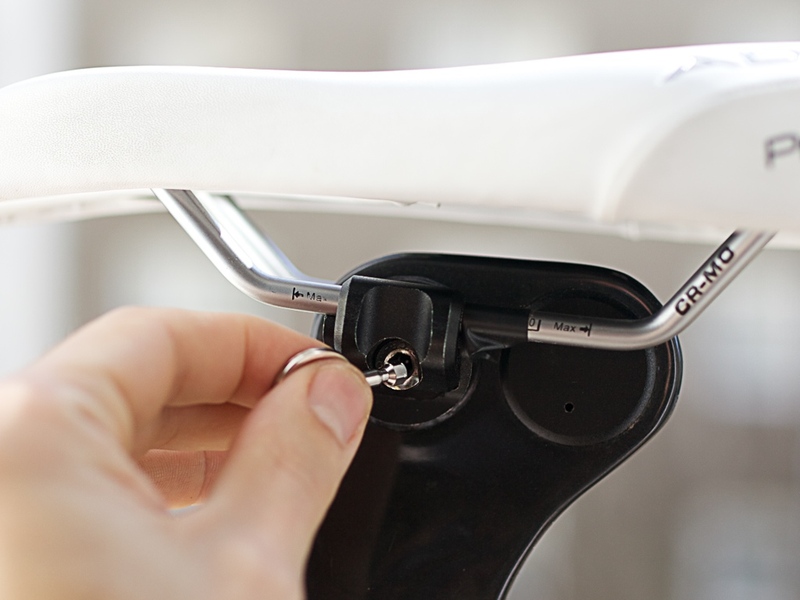 It secures hex bolts used to attach bike seats, wheels, and other components to bicycles. By sticking into the hex-head bolt with a magnet, it’s impossible (or at least really hard) to get a tool onto the bolt and loosen it from the bike. 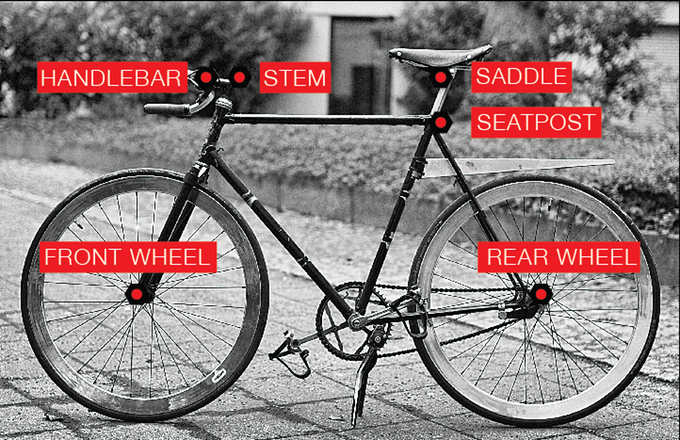 Thus, the components are locked to the bike. When the owner of the bike wants to change out the locked component they have a unique key to remove the Hexlox. Once the lock is removed, the bolt is once again just your standard hex-head and can take standard tools. This sets it apart from some security bolts, which use standardized, albeit less common, head configurations. While it uses a magnetic attachment system, it can’t be removed with a magnet because it is “magnetically sealed.” The company claims it has been tested to withstand tweezers, lock picking tools, needle nose pliers, gator/vise grip, hammer, liquid ice, hacksaw, screwdrivers, and numerous other things. The brand states that it even took the product to be tested by the Berlin Lockpicking Society, where the members failed to remove the little bugger. 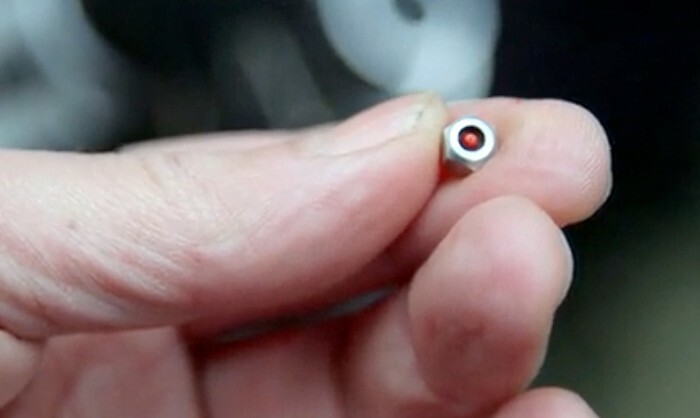 We like the look of this tiny device, which is available for all standard bike hex sizes. It sells for around $20 a pair on Kickstarter, and has raised almost $50,000 in just a few days. It’s worth noting that, because Hexlox works through magnetism, it won’t work on high-end aluminum, titanium, or some stainless steel bolts. If in doubt, check to see if a magnet sticks to the intended bolt before ordering. If you’re looking for a simple way to secure your components, check out this tiny new device and keep your parts on your bike.